Things getting too personal? Ask yourself, why would someone have private information about you? Always think critically before doing anything online – and learn to trust your intuition. Be on your guard for phishing attempts – which are efforts to steal information (such as login or account details) by pretending to be someone you know in an email, text, or other forms of online communication. Make it memorable, but don't use personal information, such as names or birthdays. Use a mix of uppercase letters, lowercase letters, symbols and numbers. Be a force for good. Use the power of the internet to be nice, not nasty. Block mean, upsetting or inappropriate behaviour online. Be a Legend. Step in and provide support to those being bullied. Encourage everyone to speak up against, and report, online bullying. When children come across something they're not sure about online, they should feel comfortable talking to a trusted adult. Adults can support this by showing they're open to talking, even about difficult or embarrassing things at home and in the classroom. Set clearly defined family or classroom rules and expectations around technology, and let children know of any consequences there might be for inappropriate use. Rather than having one big 'internet safety conversation', keep the dialogue going by encouraging children to ask questions whenever they want. Encourage children to talk to other trusted adults such as teachers, family friends or relatives as well. If you are a primary school teacher in the UK, you can order the free Be Internet Legends lesson plan booklet accredited by the PSHE association directly from the Parent Zone website. Teachers can download lesson plans to deliver in class, as well as classroom activities to bring the five pillars of the Legends Code to life. Parents can get involved at home by encouraging the entire family to follow the Legends Code together. 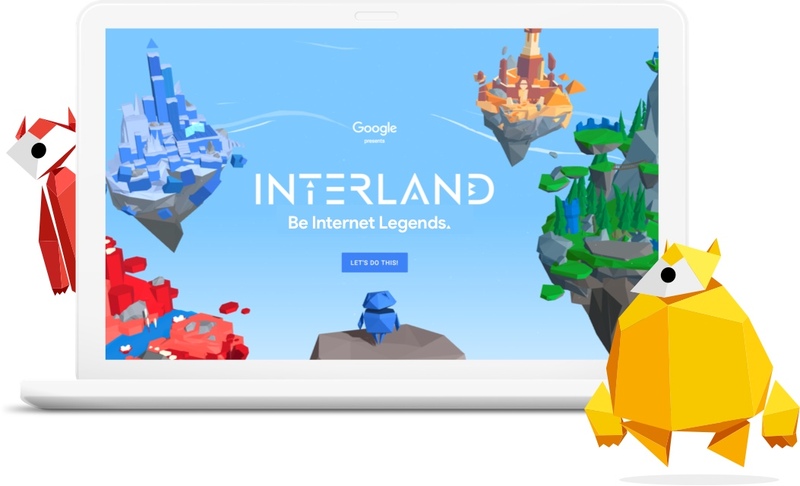 Children can become Internet Legends with Interland, an online adventure that teaches the key lessons of internet safety through four fun, challenging games. We worked with experts in internet safety to ensure that every element of the programme addresses the things families and teachers need to know. Parent Zone supports families and schools in the digital age by creating expert information on all of the issues affecting children and young people that are caused or amplified by the internet. The PSHE Association is the national body for personal, social, health and economic (PSHE) education. PSHE supports a network of teachers and schools with advice and training enabling pupils to be safe, healthy and prepared for modern life. Internet Matters helps parents keep their children safe online by providing simple, practical and helpful advice.